It’s back to school time and that means we are all looking for quick and easy dinners. Some nights, finding the time to cook a gourmet, made-from-scratch meal just isn’t possible. That is why I am so glad they have Campbell Soup Company products at Walmart. With these products I can create simple, delicious, and filling recipes in very little time. I love to make dinners that get me in and out of the kitchen fast. 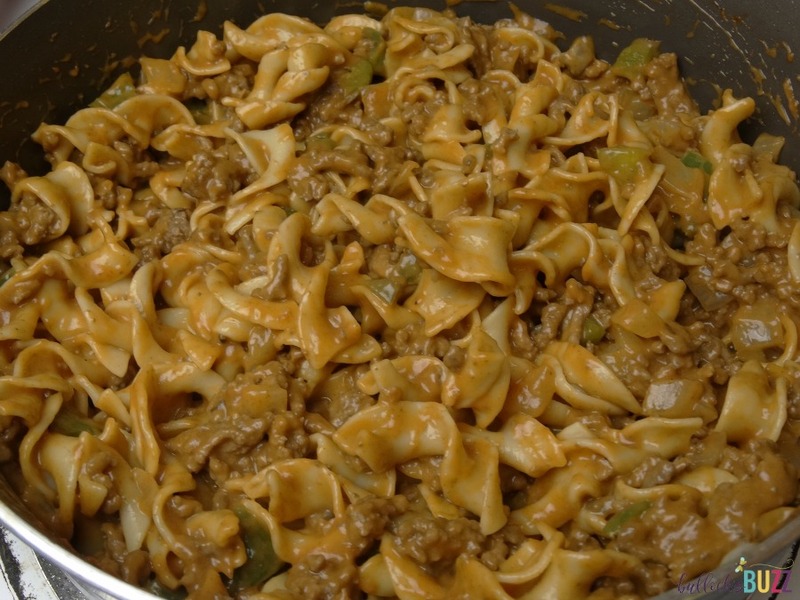 Something that uses the bare minimum of dishes, takes minutes to make, and still tastes great. 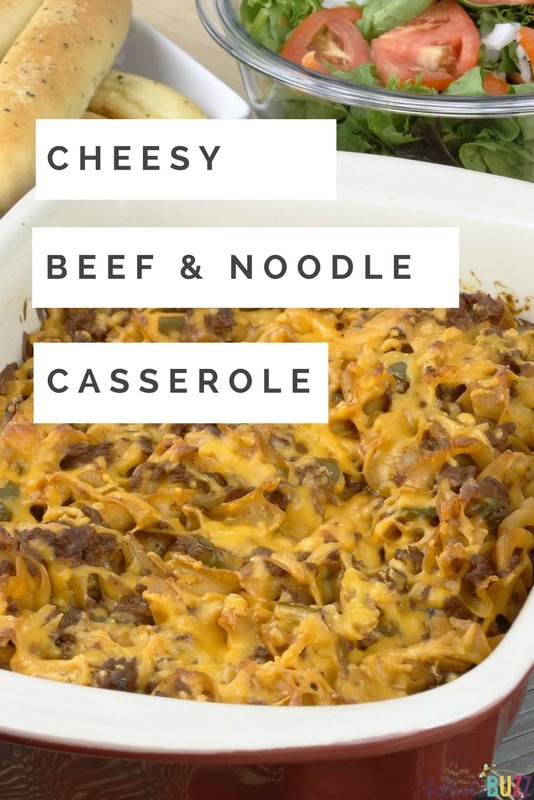 This recipe for Cheesy Beef and Noodle Casserole is nice and quick and it has a wonderful pop of flavor that everyone always agrees on! 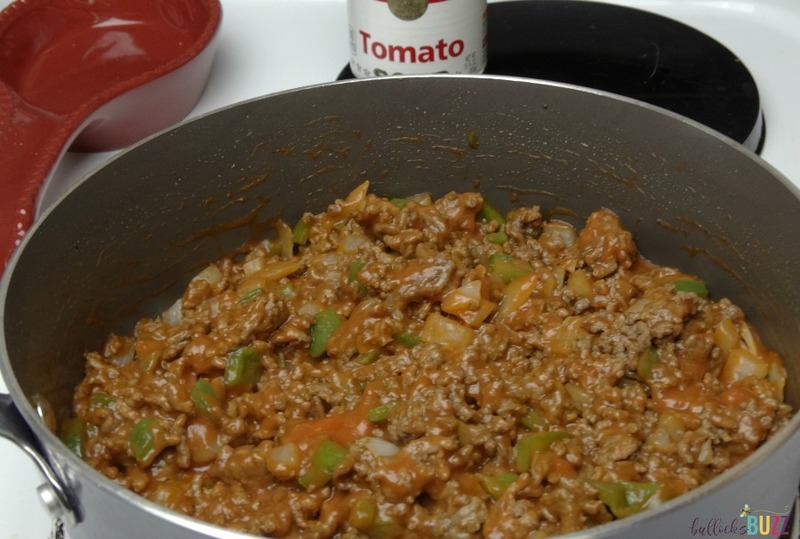 I was able to pick up all of the ingredients I needed at Walmart, including the Campbell’s® Condensed Tomato Soup, Campbell’s® Condensed Cream of Mushroom Soup, ground beef, an onion and green pepper, and the Worcestershire sauce and egg noodles. 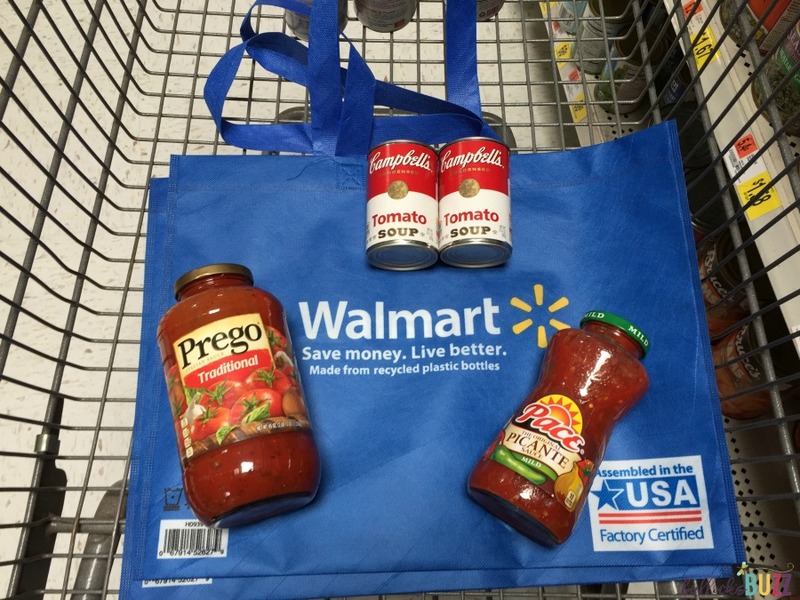 I even picked up some Prego® Italian Sauce and Pace® to make a few of my other favorite easy weeknight meals. They had everything! 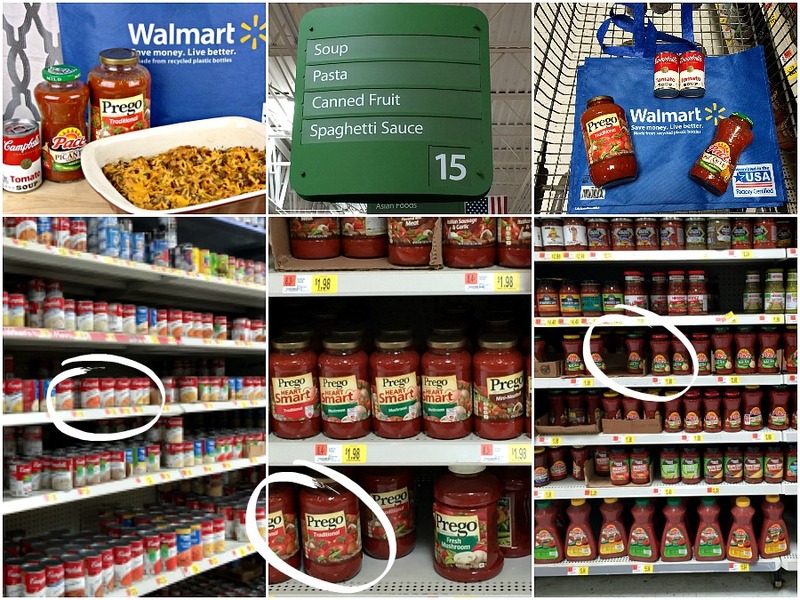 Hover over the above photo to click-through to Walmart.com and purchase these delicious Campbell Soup Company products! I start this recipe by cooking the egg noodles according to the directions on the package. While they are cooking, I season the beef with a little salt, pepper and garlic, then brown it in a large skillet over medium high heat. 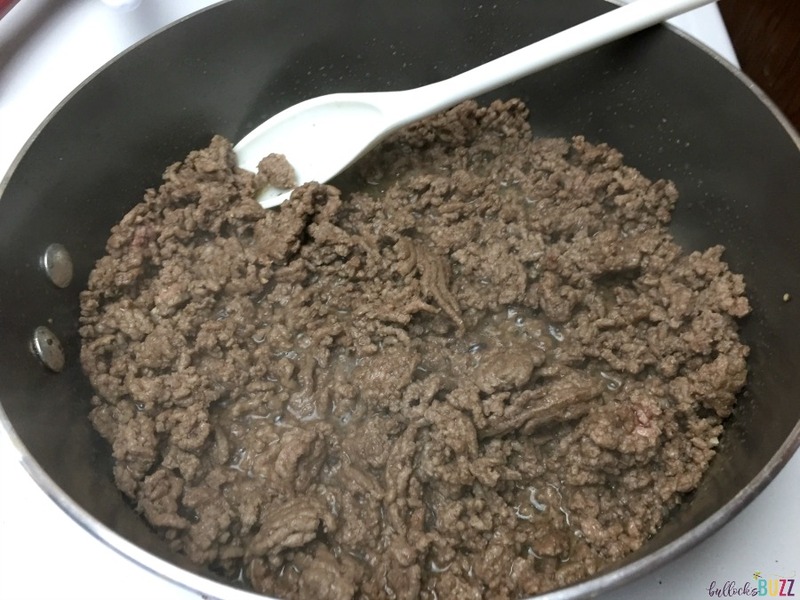 Once the beef is completely browned, I use a strainer to drain it, and then set the cooked beef to the side. Next, using the same skillet, I sauté the onion and pepper in a little butter until it is soft and tender. Then, I stir in the beef, the Worcestershire sauce, and both of the soups. Next comes the cooked and drained pasta. I like use the large curly egg noodles, but I bet elbow macaroni, penne or even ziti would work just fine. I stir everything together until it’s completely combined, and then transfer it all to a greased 3-qt. baking dish. 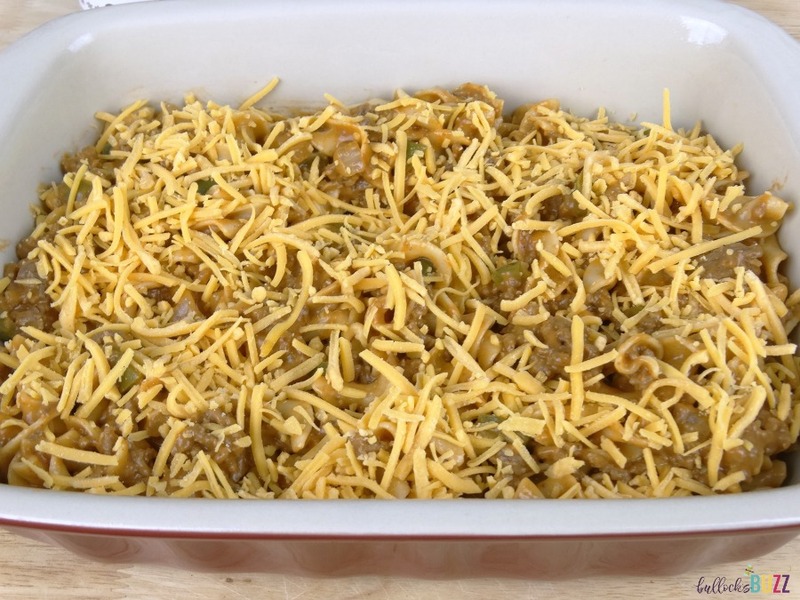 I then top the casserole with some yummy shredded cheddar cheese, and place it in the oven to bake, uncovered, at 350° for 45-50 minutes, or until it is cooked through. Once it’s finished, I serve it with a salad and garlic bread. Quick and utterly delicious! 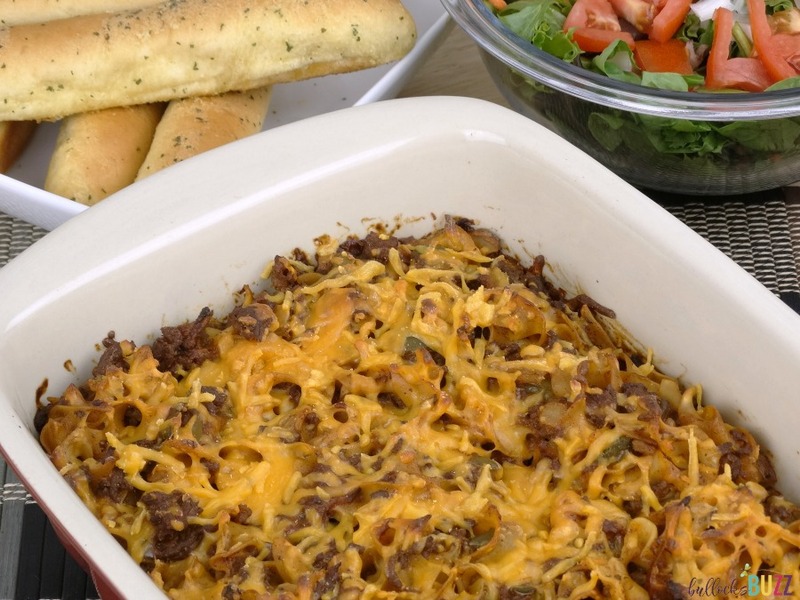 Cheesy Beef and Noodle Casserole is one my family’s favorite go-to meals. It may taste like you spent hours making it, but in reality it takes a little less than an hour from start to finish! 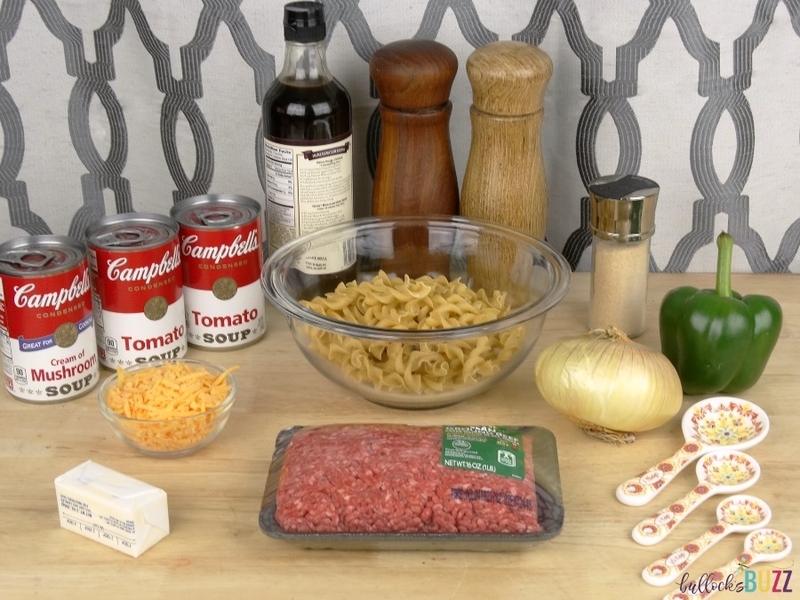 Get ready for those busy back to school nights with more #CampbellsShortcutMeals. And don’t forget to stock up on Campbell Soup Company products to help make school night meals a little less hectic! 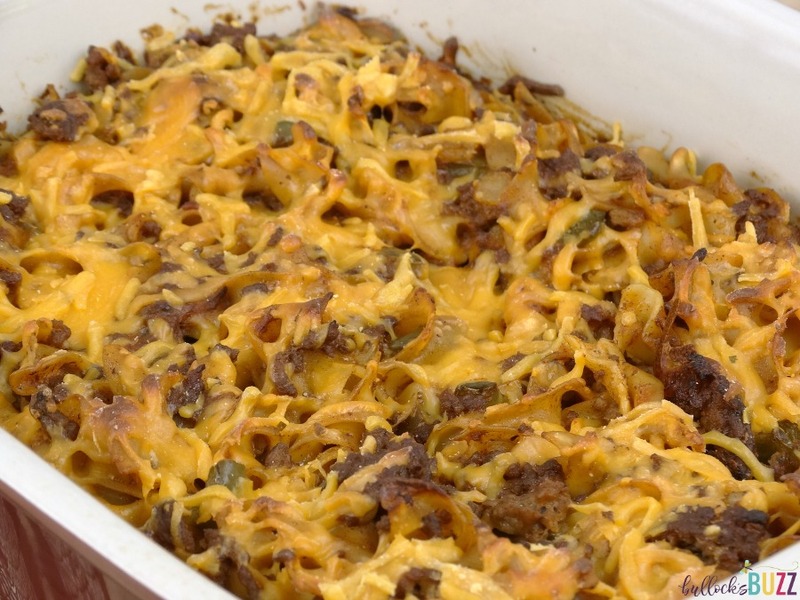 This delightfully casual Cheesy Beef and Noodle Casserole combines tender noodles, green pepper, onion and a creamy tomato and ground beef mixture, all topped with melted cheddar cheese. It's destined to become a weeknight favorite! Prepare the noodles according to the instructions on the package. In a large skillet, season the beef with salt, pepper and garlic. Cook beef over medium heat until no longer pink; drain. Set to the side. 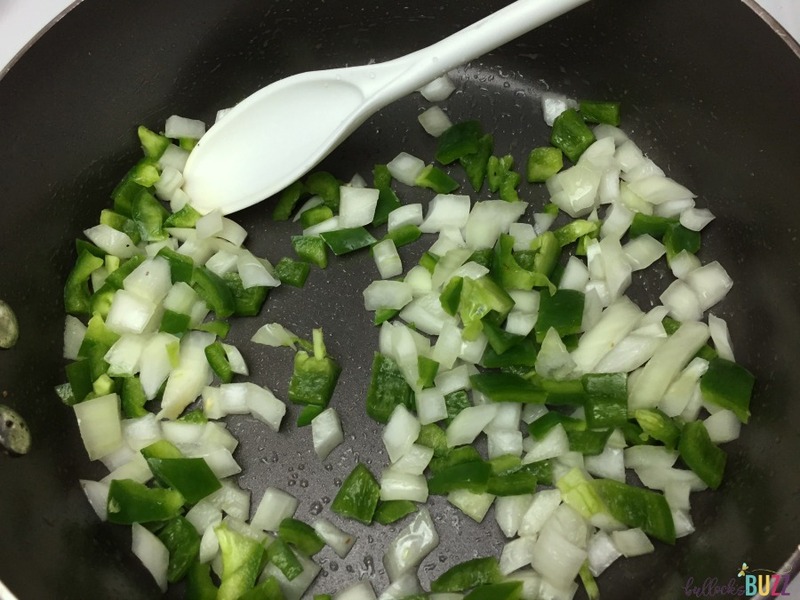 Saute the onion and green pepper in one tablespoon of butter until tender. Add in the Worcestershire sauce, beef, and both soups. Transfer to a greased 3-qt. baking dish, and top with cheddar cheese. Bake, uncovered, at 350° for 45-50 minutes or until heated through. Do you have a favorite quick and easy weeknight dinner recipe? Leave me a comment below. Yes! And this is delish!